Sleep apnea is a condition that can affect anyone and has serious medical implications, but a new study shows that it may be particularly harmful to pregnant women and their unborn children. Researchers from Brown University have found that pregnant women who have obstructive sleep apnea are more likely to bear children who need to be admitted to an intensive care unit or special care nursery. These babies are also much more likely to require resuscitation at birth and a longer hospital stay. "Our results have shown that babies born to mothers with a diagnosis of obstructive sleep apnea are more likely to require resuscitative efforts at birth, be born preterm, and to require a stay in the neonatal intensive care unit compared to babies who were not exposed to maternal sleep apnea," said Dr. Ghada Bourjeily, principal investigator and lead author of the study. To reach their findings, Bourjeily and her colleagues used information collected by the National Perinatal Information Center, which analyzed over 1.4 million linked maternal and newborn records from 2010-2014. 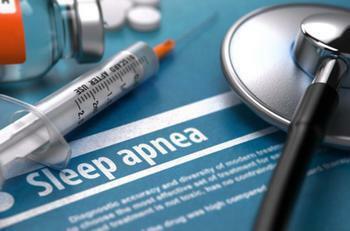 While less than 1% of mothers in the sample had obstructive sleep apnea – a condition in which the airway collapses or becomes blocked during sleep, leading to shallow breathing and breathing pauses that negatively affect sleep quality – those who did were more likely to be diagnosed with obesity, pre-gestational hypertension, and diabetes. After analyzing the data, the researchers found that newborns of mothers with obstructive sleep apnea were over three times more likely to be admitted to an intensive care unit (25.3% vs. 8.1%) than babies born to mothers without the condition. They were also more than twice as likely to be admitted to a special care nursery (34.9% vs. 13.6%) and had a 26% higher risk of congenital anomalies. "These findings add to our understanding of the extent of morbidities of maternal sleep apnea for the mother as well as the baby," said Bourjeily. "The results further highlight the importance of identifying this condition in pregnancy and testing the impact of therapy on these complications." A research abstract of the study has been published in the journal Sleep, and the full study was presented at SLEEP 2017 in Boston on June 4.